Mailbox Locks Replacement Toronto | 416-619-4912 | Same Day! Personal mail is private and that’s why mailbox locks are necessary. They ensure the security of your mail by keeping snooping eyes and strange hands out of your post. Whether the letter box is placed close to your doorstep or at the entrance of the yard, private letters and delivered packages must be kept secured. Keeping them locked is the best chance to find them intact from strangers or rain and you will stop having your mind in the postman. Knowing that your post is secure you can pick it up at your convenience. So, you need to make sure these mailbox locks secure your letters properly or you need to proceed with their replacement and FC Locksmith can be of great assistance. When your mailbox key is misplaced, distorted or lost, you must definitely replace it. Did you check the condition of the lock lately? Don’t forget that these locks are affected by the weather conditions and possible vandalism since they are exposed to the open at all times. The technicians of FC Locksmith have excellent solutions to suggest you since our company can supply you with great mechanical locks or combination type locks. One of our technicians can easily help you choose based on the needs of your mailbox and you can be sure of our immediate services. 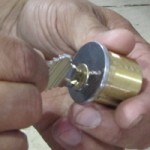 We are very experienced with mailbox locks replacement and, thus, can guarantee careful and thorough services. 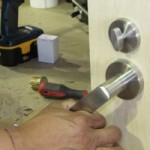 Our technicians are skilled and won’t damage your letter box while they are replacing the old lock. We use the best tools in Ontario and can serve all people in Toronto with speed, professionalism and efficiency. If your letter box key is malfunctioning, call our FC Locksmith experts today for mailbox replacement locks services today!